The best advice about Scuba Diving & Snorkelling from Port Douglas! Our Team of professional local scuba divers are here to help you choose the best Port Douglas scuba diving option for you. Whether you have a big or small group, or wish to go on a guided or self-guided dive we can help you. The Great Barrier Reef is truly one of Earth’s great natural wonders. 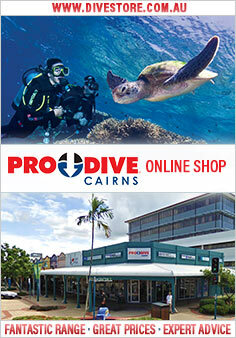 The very best way you can experience it is underwater - scuba diving off the Port Douglas coast. The newly launched Silversonic is an ultra modern 29m catamaran that visits the outer edge reef locations in the Agincourt Reef complex in superb style and comfort. Poseidon, named after the Greek god of the sea, is a fast comfortable vessel locally owned by a long time boating family in the Port Douglas area. Quicksilver's 30 metre luxury sailing catamaran, Wavedancer, offers the excitement of big ship sailing combined with the ultimate in comfort. Quicksilver Connections magnificent Agincourt Reef cruise takes you to the very edge of the Outer Barrier Reef onboard one of their wavepiercers, and is the only day cruise that visits a ribbon reef.